Douglas Foo unveils secrets to innovatively dominating the industry. Since the inception of Sakae Sushi in 1996, Sakae Holdings has grown its empire to numerous branches across the globe under a portfolio of beloved brands like Sakae Sushi, Sakae Teppanyaki, Sakae Delivery, Hei Sushi, Senjyu, Crepes & Cream, and Sakae Express. 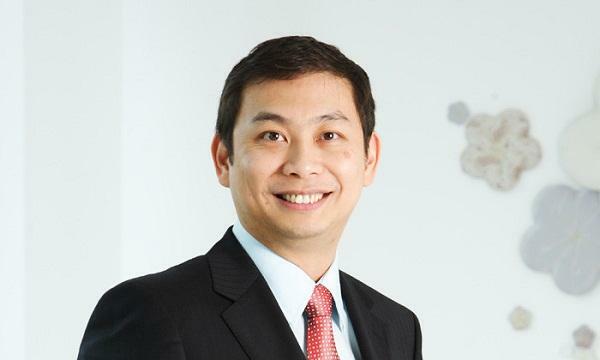 Behind the chain's success is Douglas Foo, founder and chairman of the group. Foo hatched the idea for the sushi chain after conducting a survey which revealed that Singaporeans were becoming increasingly conscious of their health. At the time, Japanese food was widely considered as one of the healthiest cuisines, but the Japanese dining experience was then too pricey for the average Singaporean. Foo thought to bring Japanese cuisine to Singapore's thriving middle-class masses, and thus, Sakae Sushi was born. The very first Sakae Sushi branch opened in 1997, weathered the Asian Financial Crisis, and grew to be the globally known sushi chain it is today. Foo: I believe in optimizing my time & resources, and to make do with whatever resources I have. The mottos of my alma maters have also become an anchor in my character building, and aided my decision-making as I made my foray into the F & B industry. For example, the value systems like in my primary school is Gong Quan Xin Min. Gong means you respect, Kuan means magnanimous, Xin means loyalty, Min means diligent. In Dunman high, chen xing yong zhong. Chen means, again, loyalty. Xing means the belief, yong means the way that you face things, your courage. Zhong means again how you look at things and how you are part of the value system within organizations. These mottos are values that I hold close to my heart as we continue to build Sakae to be a brand that is synonymous with healthy dining, food safety, quality, sustainable growth, and an organization that gives back to society. It is my hope for Sakae that we will continue to effect positive change for the communities that we serve & in the places that we operate in. We also believe in doing unto others what we want done unto us, and in Sakae we only serve what we eat. QSR: What goals have you set your sights on for the next twelve months? Foo: Sakae has been on a brand building journey from day one, and we will continue to build a global brand and a stronger Sakae. Sakae Sushi started with a dream of bringing healthy Japanese food to be savored by people of all ages. When we opened our first outlet at the height of the Asian Crisis in the 90’s, we started with a business proposition to bring affordable Japanese food to the masses. We also embarked on a brand building journey to be the top brand recall for Sushi, anywhere in the world. Besides working towards building 30,000 stores in 5 continents, we want to be a top brand recall synonymous with Sushi, and offering healthy, fresh and quality Japanese food at value-for-money prices. What sets us apart from the competition is the innovative culture in our company, and this continues to propel us to the next level. We have always been the first in the market to deliver new dining experiences for our customers, and this continuous pursuit of excellence allows our team to reinvent, innovate and be creative. We intend to continue building a Sakae that engages our customers & team, whilst fusing our innovations with disruptive technologies to ensure a seamless infrastructure built around enhancing our customers’ experience. Foo: The Food & Beverage industry is a very tough industry, and to continue to stay in the business and ahead of the competition, we remain committed and passionate about our customers and the ever-changing trends in the industry. To build a sustainable global brand, at Sakae Holdings Ltd., we have identified four pillars that form the crux of our blue print—Human Capital, Global Food Resource, Real Estate Management and Sakae’s fourth pillar, Sakae Corporate Advisory. These pillars are crucial in aiding us to continue to grow our stores and venture into overseas markets. As Sakae continues to grow, it is important we continue to stay innovated, and innovation isn’t just about technology because our employees are the most critical assets of the company. We need to build 30 000 units all around the world. If each shop, we need 10 people, we are talking about 300 000 people, where are we going to get those number of people. People are our assets, and we want to help each and every employee here to build a career. We believe that the employee is work with us together and not work for us. As Sakae seeks to become a global brand, investing in human capital is among its core strategies as it offers skills training, staff benefits and career opportunities. Sakae currently has more than two thousand employees in diverse age groups under its payroll, and also works closely with a number of schools to tap future talent. Training programs and scholarships are offered to students who aspire to join the Sakae family in the future. We will continue to hire like-minded people to join our expanding team, people who believed in and share our vision and mission. Besides serving as Chairman of Sakae Holdings, I also serve on various boards, including serving as President of the Singapore Manufacturing Federation (SMF). With the current economic climate and ever changing landscape, I am more worried about the Manufacturing Sector then Sakae, and will continue to meet the various sectorial leaders to discuss effective initiatives designed to help companies in this sector. We are visiting ways to improve processes, strengthen businesses in this sector, and help companies to stay relevant. Foo: We have a great team at Sakae, and I play a small part compared to what they do. Sakae hopes to bring joy across the globe; one frog print at a time and we believe that helping people is just like helping ourselves. Being in the food business is not just about giving quality food, it’s about understanding people needs. We want Sake to be a company with a soul, and a heart and we believe that we really need to care for people before we can really bring ourselves to the next level of understanding people. I enjoy interacting with members of our Sakae team, and through regular interaction, bonds are fostered. Whenever, I am with our team, I always feel energized. I love being with my colleagues, and life is exciting because every day there are new challenges, new things that I want to do. There are so many things, that I can’t wait to continue to do my part. In the last 18 years with Sakae, I have had many memorable moments, met many memorable people, and learnt many invaluable lessons from everyone that I have met in my journey. If we lived to 100 years old, we would have lived for 36, 500 years, and I am sure I will continue to have many more special moments. Foo: As mentioned earlier, I serve as President of SMF. Although we are a small country with a population of only five million people, I realize that how this country has been led and what Singapore stands for has earned us a certain stature. This is all thanks to our good education system, easy accessibility to knowledge and abundance of opportunities that has given me the skills to contribute. Truly, I am grateful that Singapore has built us to enable us to become who we are, and together with my associates at SMF we will be focusing on helping enterprises to navigate their businesses in 2016 and beyond. As the sector is so diverse, each group faces it owns challenges & and would need to find relevant ways to maneuver through the economic downturn. Foo: Success is a very big word, and it’s all relative. When I started Sakae Sushi back in 1997, marking my mark was never part of my agenda. Instead, I told myself to try, and if it doesn’t work, well, as long as I’m hard working, I got two hands, and I won’t go hungry. Thinking big & global, we set out to build a global brand that would serve up affordable sushi for the masses. It was our intention from day one to build a brand that would resonate well with the communities that we serve, and our team has been taking steps towards making a common dream come true. This dream won’t happen overnight, but we aspire to set forth an engine that would go on forever. To do so, we intend to continually upgrade themselves whilst and innovating best practices to enable the better organization of our business model, and strategies to better serve the community that we live in.